How The Heck Do I Find Anything At Riot Fest? 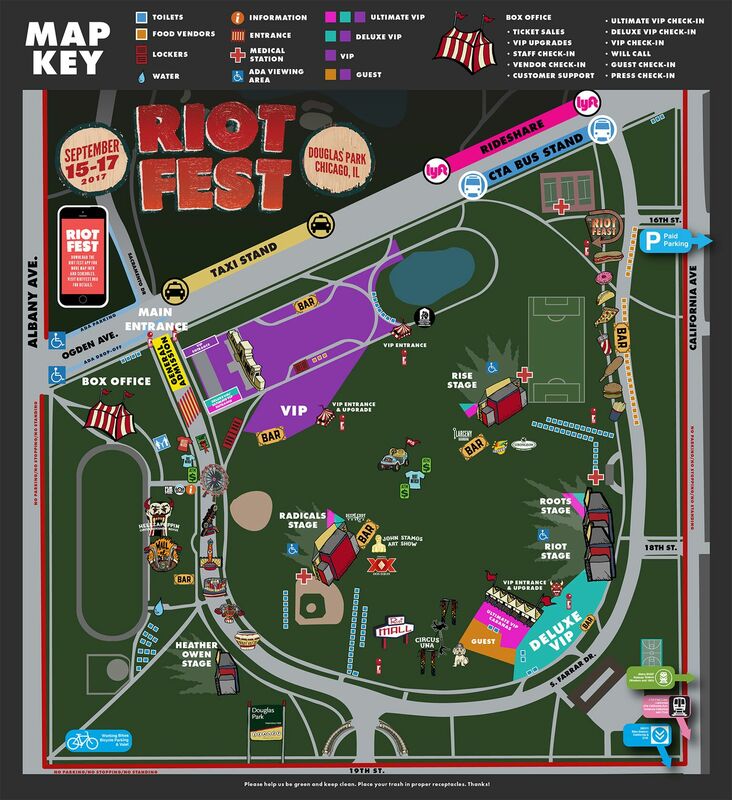 How the heck am I supposed to find anything at Riot Fest? You can use this trusty map. Are you driving and need find parking? Check out our parking map here. Want to upgrade your ticket to VIP when you get to the festival? You can do that too, thanks to the map! Were you holding in a poop on the drive in? We have toilets, and they’re on the map! Trying to figure out where the stages are? There’s a map for that. Want to know where you can purchase a craft cocktail from Deep Eddy Vodka or Larceny Bourbon? It’s on the map! And yes, we are serving cocktails this year! Looking forward to your favorites from The Riot Feast? 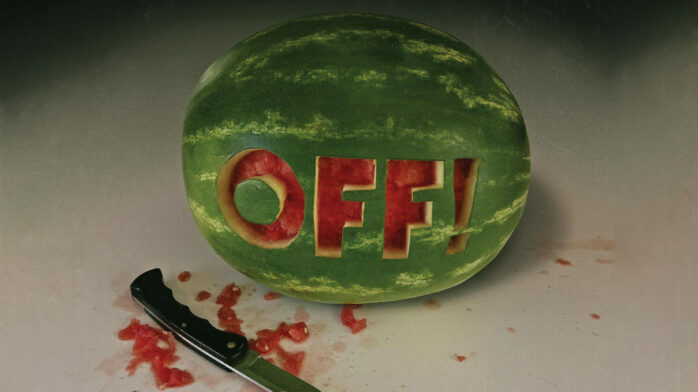 Find it on the map, then feast! Need to find the Ferris wheel? 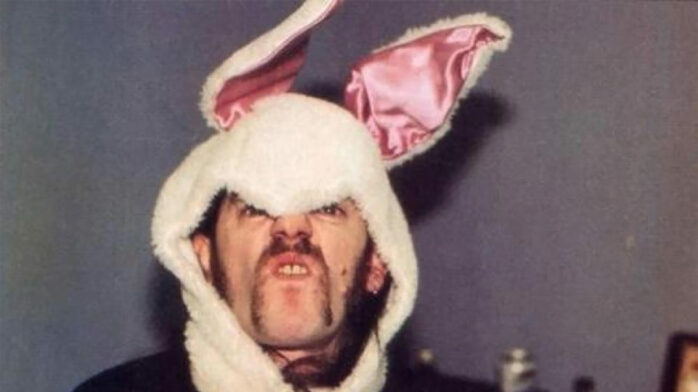 Hellzapoppin’? The John Stamos Art Show? Map. Map. Map. What to do when it gets a little cold at night and you need to buy a hoodie? Find a merch tent on the map! Need to find a taxis, a bus or a Lyft after you leave? Check out that map. Don’t thank us, thank the map. 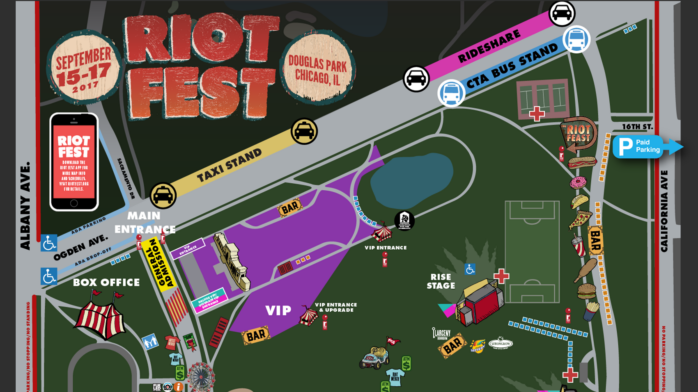 Still trying to figure out how you’re getting to and from Riot Fest? Check out our location page. 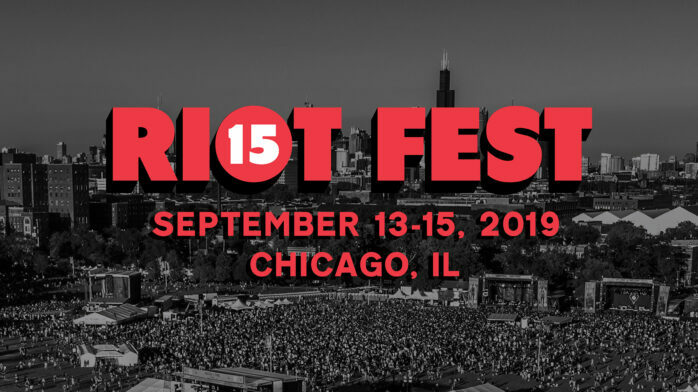 You can also download the Riot Fest App for iOS (download here) and for Android (download here).